CLICK HERE FOR MORE BY STEPHENIE MEYER. Twilight — (2005-2010) Young adult. Publisher: About three things I was absolutely positive. First, Edward was a vampire. Second, there was a part of him — and I didn’t know how dominant that part might be — that thirsted for my blood. And third, I was unconditionally and irrevocably in love with him. It begins with the cover, the perfect red apple — forbidden fruit! — offered to the reader by perfect, pale hands. (Note the epigraph from Genesis: "But of the tree of knowledge of good and evil, thou shalt not eat of it... ") It continues, and continues, with the blossoming relationship between the narrator, Bella Swan, and the physically perfect and mysterious Edward Cullen — who, as the back cover states, is a vampire. 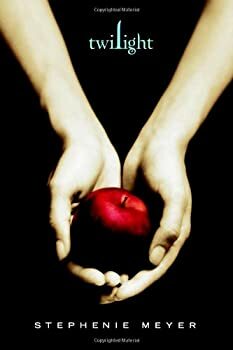 Considering how popular Stephenie Meyer has become, it’s hard to imagine that her debut novel was only just released in 2005, because it seems like I’ve been hearing about the author for decades. 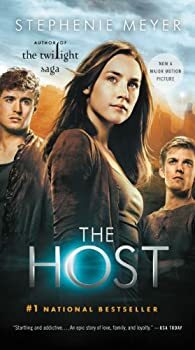 The Host — Ms. Meyer’s first novel for adults — marks my introduction to the author’s charms and I can now see firsthand why Ms. Meyer is so popular. Stephenie Meyer changes it up fairly dramatically in The Chemist (2016), her second adult novel, where there is nary a vampire, werewolf or space alien to be found. It’s a rather pulpy but absorbing thriller in the vein of a Jason Bourne novel (to whom she’s dedicated this novel, among others). There’s no real speculative element here, other than perhaps some new developments in chemical-based torture and some startlingly smart dogs.